Our range of services has been designed. “A woman who cuts her Hair is about to change her life”. Coco Chanel. 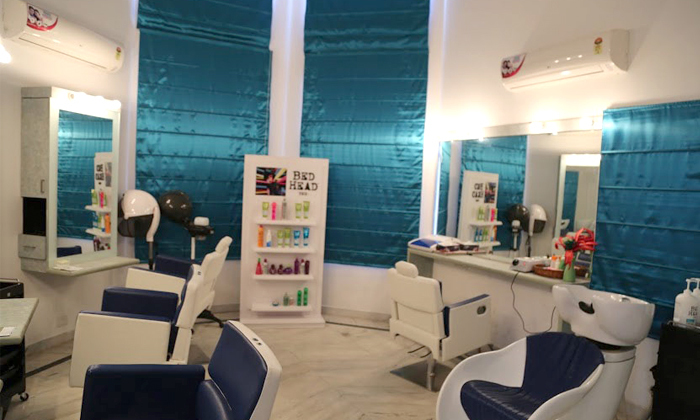 For Her @ Rs.2599 Waxing + Threading + Wash & Blow Dry + Hair Spa + Manicure + Pedicure. For Him @ Rs.1299. 2 Hair Cuts + 2 Shaves + Manicure + Pedicure + Hair Color.